This time I have for you a review that I would hardly call a regular one. I took a 500$ BR player and had it modified by well known Dan Wright from Modwright Instruments and was hoping to get a very satisfactory result as reported by many happy users in US. Oppo is an American company well known on local market and not so well here in Europe. Sure they make some good DVD players and you can find some of these here and there. As far as I can tell these products are valued because of their solid design and good performance, all offered at a reasonable price. But nevertheless Oppo is a BRAND in USA mostly. That changed and only few saw it coming. 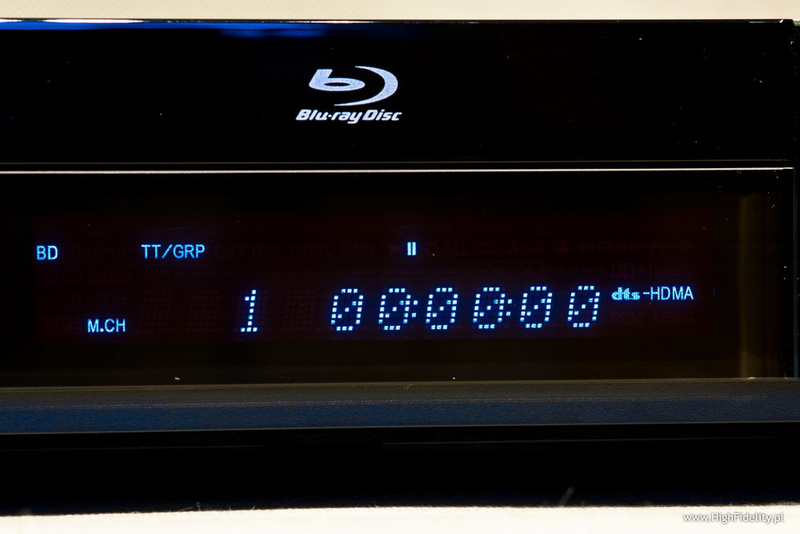 One day people all over the world read about great Blu-ray player Oppo BDP-83. Attractive price of 499$ and ability to play not only BR and DVD discs but also CD, SACD and DVD-A! Well we saw lots of DVD players that were advertised also as SACD players (sometimes also DVD-A) and they actually played such discs but … nobody wanted to listen to them as the sound was … crappy (forgive my language). I myself own a Samsung DVD player that plays also SACD via analog outputs of course, hence using its own internal DAC. I am not going to describe this sound as some kids might read it … . 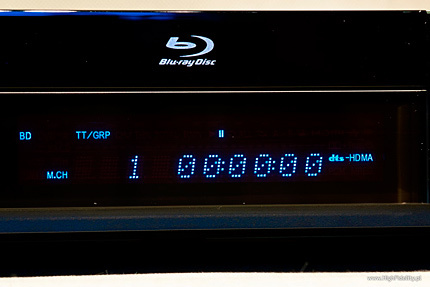 To make a long story short – all sorts of DVD players proudly presented labels saying that they were capable of playing some audiophile's formats, none of them did it well but some naive Customers bought them anyway. Probably none of them is ever going to make same mistake again. But … Oppo's approach was different. How? Before releasing this player to the public they ran two rounds of beta tests. The „funny” part is that they really collected feedback from those tests and they worked out some solutions and implemented them! Of course they also benefited from couple of hundreds of beta-testers leeching lots of positive feedback about the product to the public. As soon as BDP-83 was released to the market there was a crowd of people craving to buy it. They knew already that picture quality was very good, sound quality was very nice and they could be sure that the device had been tested extensively by real users. Interestingly some companies dealing with audio modifications had their mods for Oppo ready the moment first customer could buy it. What we knew from beta-testers was that sound quality from CDs, SACDs and DVD-A was already quite good – comparable to specialized players at same price level. That was interesting enough for many because of all additional benefits (like DVD and BR playback ability) – why pay 500$ for CD player if you could have a player with BR/DVD/CD/SACD?DVD-A playback capability at the same price? It didn't take long for many threads to appear mostly on American forums claiming the sound quality offered by Oppo modified by one of the companies offering such service (like Modwright, ASi Teknologies, RAM, or NuForce) could be compared to players costing couple of grands. Sure – modes were two/three times more expensive than player itself but still price/value ratio seemed to be extremely good. On one hand we saw tones of information like this in the net – people claiming they found some fabulous product costing small money and most of such claims were just a PR or ad But on the other hand if guys like Dan Wright gave their name for such a mod – that looked promising. Some months later Oppo released SE version of the player addressed mostly to those using BDP-83 for stereo playback. They introduced the whole new analogue section, improved power supply and they used new DACs – real audiophile ones from ESS Technology. For stereo playback they used Sabre32 Ultra (ES9016) (4 pieces per channel! 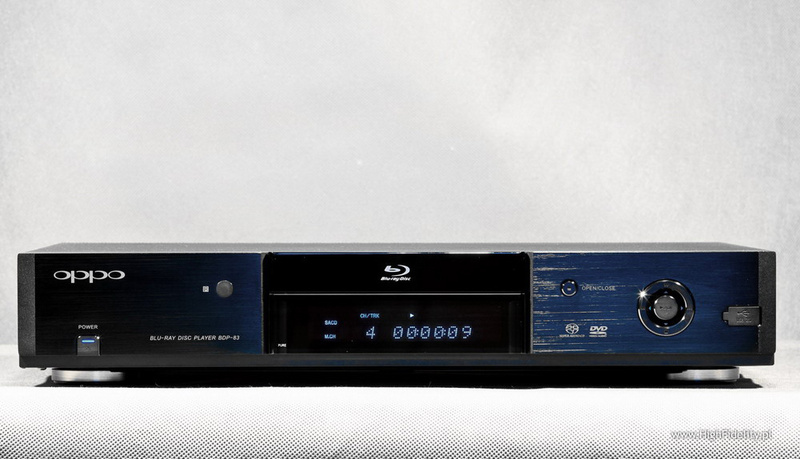 ), and for 7.1 output 8-channel Sabre Premier (ES9006). Additionally company decided to play fair towards owners of basic version – all of them were given an option of upgrading their pieces to SE version paying in fact less than a price difference between regular version and SE. Oppo also honestly encouraged to the upgrade only these customers who used their player mostly as a stereo one. I don't know about you but I did some „crazy” purchases in my audiophile's live based on a hunch – I mean there was no chance to listen to these devices prior to a purchase but I bought them anyway. This is a very basic rule every audiophile should obey – buy nothing if you can't listen to it in your own system. And I use this rule most of the time but sometimes there is absolutely no chance for an audition and I simply feel it is the right choice. So far this few decisions I made in this way were all great ones. That's how I came by a wonderful NIBIRU phonostage – maybe my personal best buy ever. This time this little devil (sitting most of the time on my left shoulder) kept whispering to my ear that I needed to get acquainted with BDP-83 modified by one of the modders. I fought bravely, struggled and … failed eventually. The only question left was: „who should modify this player for me?” This problem seemed unsolvable for quite some time and I began to think about giving up regardless of some emails I already had exchanged with some of these modders by that time. I simply wasn't able to make a simple (yeah!) decision which mod was the best. Finally I came across a thread started by a guy with exactly same problem. One of the answers was a revelation to me (that's not an exact quote) „let's see – which of these modders has been a modder for years and which of them was a modder and now has a respected company manufacturing even his own products?” As I said it was like a revelation to me – I had a chance before to listen to some great products of Dan Wright from Modwright and I had truly liked them so why would I be thinking about anybody else right now when making my decision? One more argument for Modwright – they have a Distributor here in Poland. Well Dan's policy was not to sell mods via distributors but I decided that it might be easier to contact him on the matter using Soundclub as an „intermediary”. One thing this approach gave me was an honest reply to a question (I don't know – maybe I would have received it anyway) if it was worth to spend 400$ more for SE version and modify this one. Before he put his hands on SE version Dan was convinced it was worth to wait for SE but when he finally got it … he wasn't so sure anymore. I mean he wasn't sure if there was a clear sonic advantage of SE. Well, if he couldn't tell I wouldn't pay … meaning I decided to go cheap. I chose standard version with stereo mode only. - Upgrade of stock power supplies. - Installation of proprietary, dedicated analog power supply of Modwright's design. - Upgrade of Stereo Left and Right analog channels only with Modwright's discrete FET-based circuit. - Damping mods to chassis and drive. According to Dan what one gets eventually is „a TRUE UNIVERSAL player with stereo channels all upgraded with Modwright's proprietary discrete mosfet analog stage circuit featuring zero global feedback and NO op-amps. All analog stage circuits are fed via Modwright's own internal dedicated power supply”. Is it really enough to make Oppo a serious challenge to well known brands? Can it compete with more expensive CD and/or SACD/DVD-A players? Well, despite many people claiming just that, I found it hard to believe it was such a „killer”. Even my own personal respect for Dan Wright's achievements like his great KWA150 amplifier, LS 36.5 Linestage or wonderful SWP 9.0SE Tube Phono Stage was not enough to just take his word for it. When I finally picked up my player from Soundclub I was excited and … afraid to turn it on. 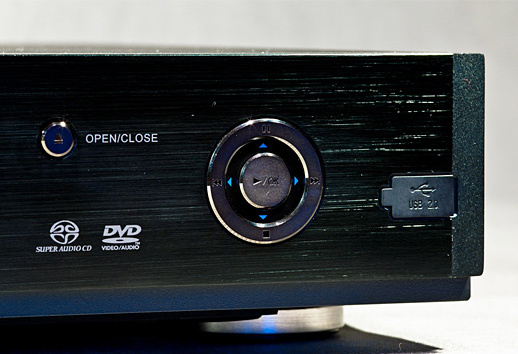 At the same time I was reviewing ARC CD5 and loved it very, very much – that was probably the best CD player I'd reviewed so far so how could I have compared Oppo to it? So all I did with Oppo was turning it on to play continuously one record just to give it time to break in. After couple of days I was finally ready to … listen to my new BDP-83. Anne-Sophie Mutter, Carmen-Fantasie, DG 00289 477 5721, SACD. Janos Starker Schuman, Cello Concerto; MERKURY 475 6621, SACD. Muddy Waters, Folk singer, CLASSIC RECORDS, 24/192 DVD, HDAD2008, DVD-A. Możdżer Danielsson Fresco, The Time, OM CD001, CD. Pink Floyd, Dark side of the moon, TOGP-15001, SACD. Pink Floyd, Dark side of the moon, CDP 0777 7 46001 2 S, CD. 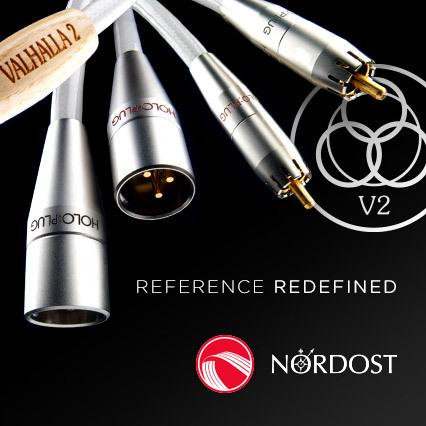 The Nordic Sound, 2L-RR1-SABD, BR/SACD. I've never had a SACD or DVD-A player before so my music library is composed mostly of CDs and vinyl records, and only very few SACDs and one (!) DVD-A disc. But since it took quite a while before I got my Oppo I had a chance to acquire some new titles. Disc used for break-in period was Manger Sampler (CD) – it was just lying around when I needed to insert something to the player but it also contained quite varied musical material so was a right choice to do the job. At the very beginning of my listening session I just chose the right input in the amplifier and listened to some pieces from this particular disc. So called „first impression” was triggered by bass range. Wow! Surely much better than from my CEC 51XR – better extension, well controlled, punchy and all that without my subwoofer even turned on. I was really impressed cause the difference in the bass range was comparable to extend of changes that had happened when I'd first added sub to my system. That was my first impression but later when listening to Pink Floyd's DSOTM (SACD) or Muddy Waters Folk Singer (DVD-A) I realized that low range was presented in a great way by modified Oppo but on the other hand so was the whole frequency range.